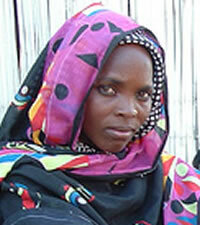 The Fulani, also many named Fula or Fulbe or Peulh, originated from Sudan. Fulani in English is borrowed from the Hausa term. Fula is sometimes spelled Fulah or Foulah. Fula and Fulani are commonly used in English, including within Africa. Traditionally, they were a nomadic, pastoralist, trading people, herding cattle, goats and sheep across the vast dry hinterlands of their domain, keeping somewhat separate from the local agricultural populations. Through their nomadic lifestyle they established numerous trade routes in West Africa. Many times the Fulani go to local markets and interact with the people, getting news and spreading it through much of West Africa. They were the first to turn to Islam. Due to their nomadic lifestyle, they spread Islam through most of West Africa. Almost all Fulani in the United States adhere to Islam, integrating animistic practices into their Muslim religious duties. Pray evangelicals will intentionally live among, learn the Fulani language, and share a contextualized form of the Gospel for the Fulani.